Ahhh, slope. 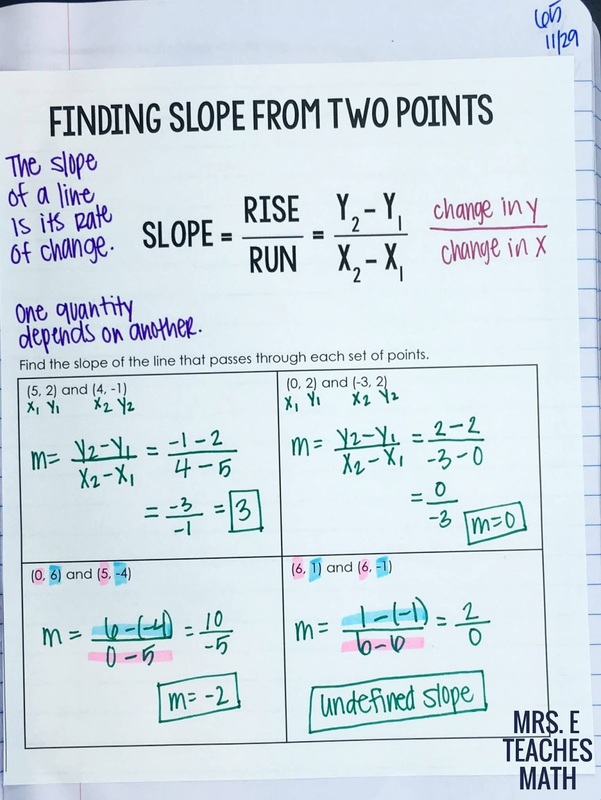 I was afraid that slope was going to be boring in Algebra 1 (since they did it in Pre-Algebra), but it was super fun! First, I showed the video of Slope Dude. If you haven’t seen it, let me tell you that it is very dry and boring. I prefaced it for my students as “the lamest, but weirdly coolest video you will see today”. Once they saw it, they understood. Then, we completed this page from Math=Love about finding slope from a graph. I made them tell me what slope dude says for each graph. I repeated it after them too. I was trying to get them to hear/say it so many times that it was annoying and ingrained in their brains forever. It totally worked. They now say "niicee negative" and "This is zero fun." for everything. Yay. 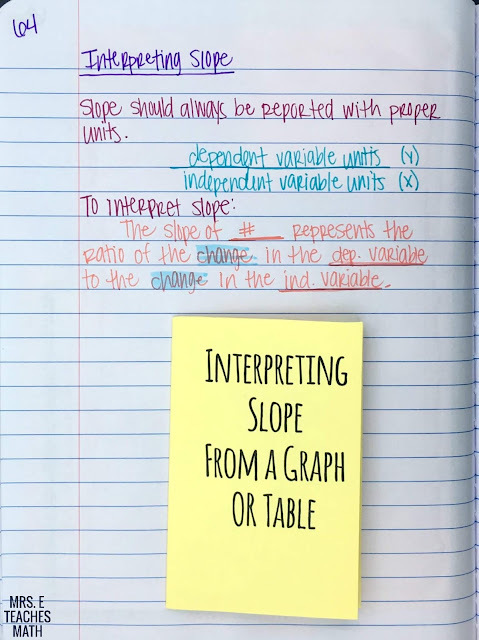 Then, I focused on interpreting slope. 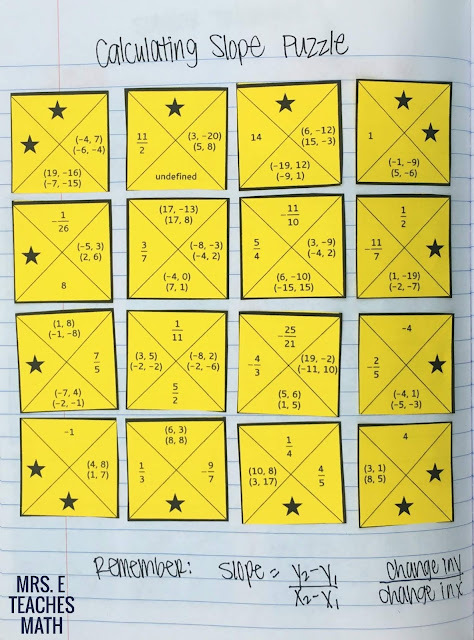 This page idea is from Math=Love as well. I made my students write out the entire sentence for each example in the booklet. I also made them write out this full sentence on their test. The next page was finding slope from two points. I quickly typed up this page (there isn’t much to it). I showed them two ways of finding the slope. 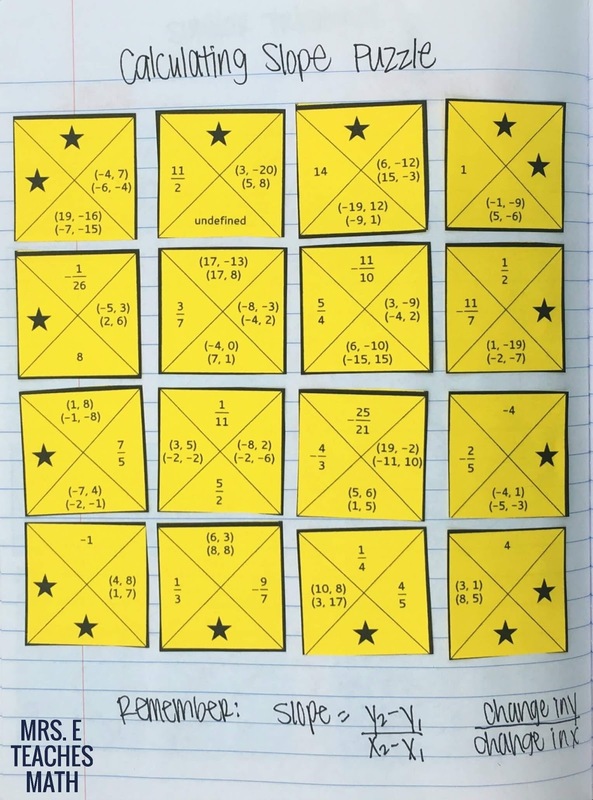 First, I told them they could label each number and substitute each value into the formula. We did the first two examples that way. Then, I told them that they could just subtract the x’s and y’s. We did the second two examples that way. 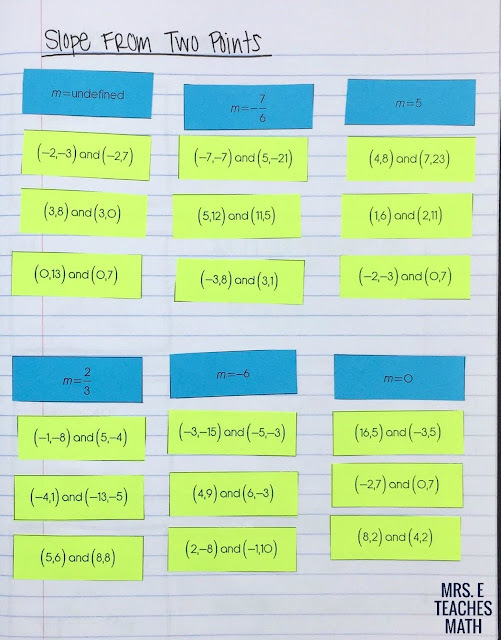 I highlighted the x’s and y’s so that they could visually see them together. My students much preferred the second method (I do too!). However, I try to always give the formula or rule to give a choice. 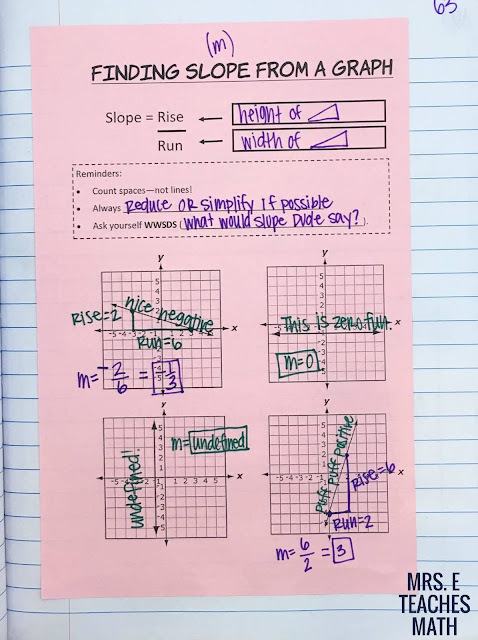 After that, my students did two activities in their notebooks for practice. First, they did my calculating slope puzzle. The point isn’t that students do every single problem in the puzzle. They will figure out that the stars outline the outside pretty quickly. However, they still need to find the slope of several pairs of points to make sure they are in the correct order. Then, I used my slope card sort. There are six slopes and students sorted the pairs of points into the correct category. 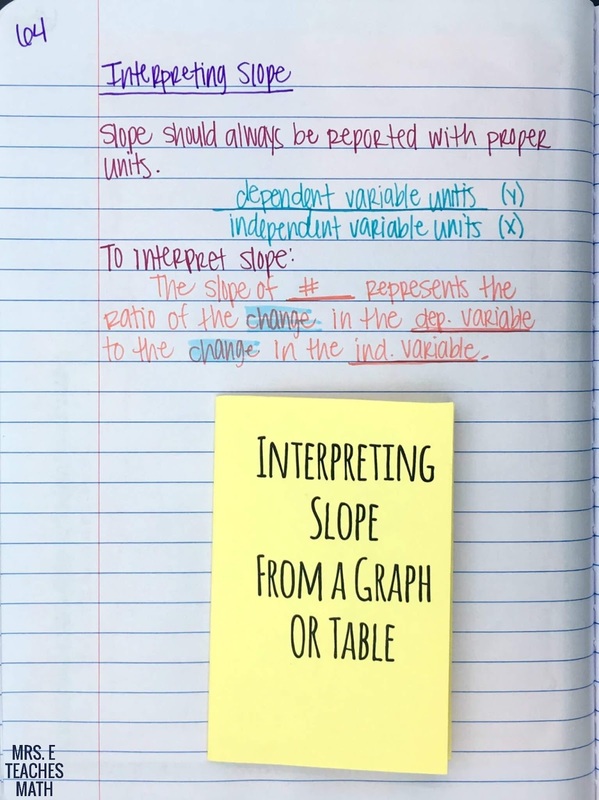 I made sure to include slopes of zero and undefined, because I know students have trouble telling those apart! I will be spending for-ev-er on equations of lines. 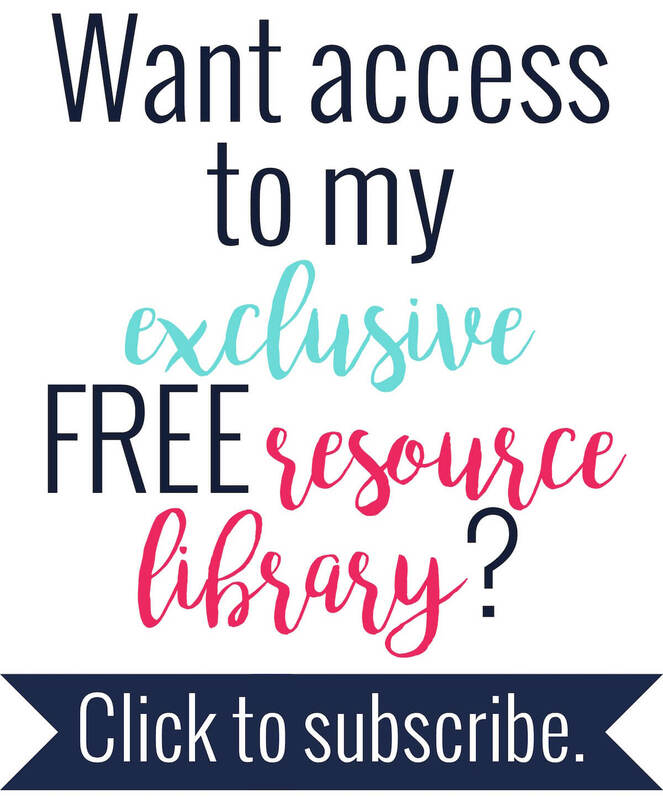 I hope to have some great pages of those to share too! How do you fold the booklet? I am racking my brain and can’t figure out a ay without a lot of cutting and glueing!